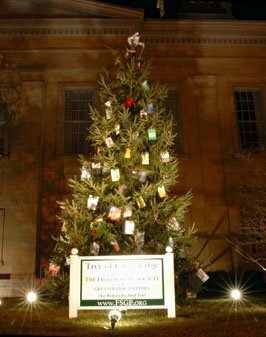 The 2009 Tree of Knowledge is on display at the Chester County Courthouse as of November 30th, 2009. 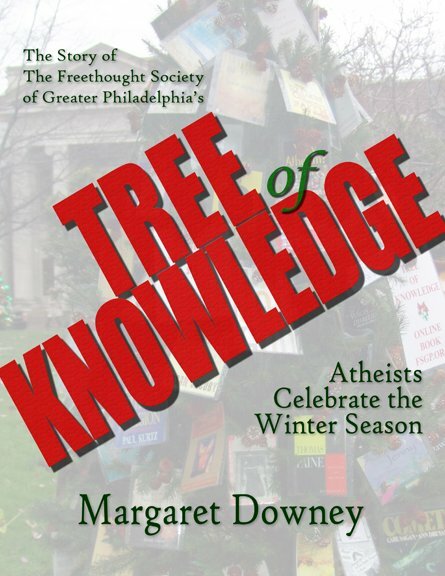 American Freethought interviews Margaret Downey about the 2009 Tree of Knowledge. 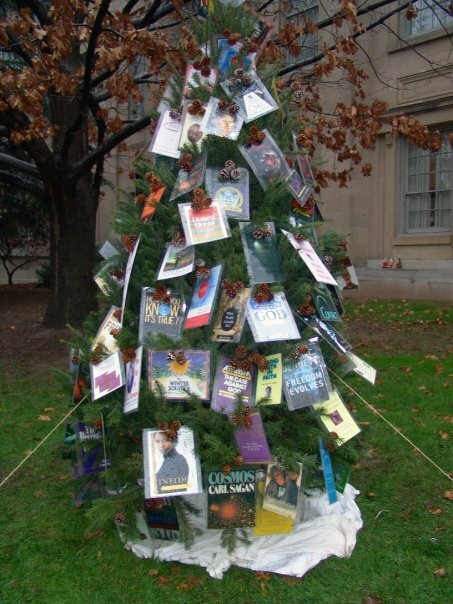 The mission of FSGP’s 2009 Winter Holiday Display, “The Tree of Knowledge,” is to inform the community about the many freethought books available through the library system and through retail and wholesale distributors. FSGP is promoting education and, in doing so, hopes to encourage a better understanding of the freethought philosophy. FSGP is also participatig in the holiday display to celebrate the winter season and to ensure a year-round cooperative relationship between theist and nontheist communities. View the TOK Photo Album. We invite you to enjoy the video of the 2009 Freethought Tree of Knowledge installation and interview with Margaret Downey. Thanks to Brian Sapient for filming and assembling the video. Thanks to Gregory Walsh for compiling this video footage and crafting into an artful mini-documentary about the Tree of Knowledge. This video can also be found on YouTube. We wholeheartedly appreciate your endeavor to plant the Knowledge tree in the Chester County Court Yard. Surely it is a great slam on Bible’s commandment not to have knowledge and the concept that Adam and Eve became sinners condemned for acquiring knowledge by eating the fobidden knowledge fruit. So many congratulations to you for your grand success. Surely I would enjoy the event with all of you there if I would be in the US.